While most risks of injury to firefighters occur “on the fire ground,” factors such as physical stress, being lost or trapped in a fire situation, and vehicle crashes are identified as the primary causes of death, reports the National Institute for Occupational Safety and Health (NIOSH) in their RAND report, “Protecting Emergency Responders.” In fact, the National Fire Protection Association (NFPA) confirms that deaths in road vehicle crashes are the second most frequent cause of on-duty firefighter fatalities. Recognizing these hazards, 2 The Rescue has developed courses that can help firefighters better deal with the vehicular-related dangers they encounter on nearly every call, and manage the stress that often comes with their regular exposures to danger, trauma and adrenaline. All classes exceed the standards of courses that were previously available to the firefighters in the State of Michigan. There is a need to reduce firefighters deaths and injuries and to minimize organizational liability when working in and around moving vehicles and other environmentally hazardous scenes. Firefighters will learn life-saving concepts and understand the legal requirements for scene control to maintain compliance with the Emergency Vehicle Safety Initiative, Manual of Uniform Traffic Control Devices (MUTCD) regulations, DOT and OSHA requirements resulting in a safer work zone. 16 Firefighter Life Saving Initiatives: # 12 Violent Incident Response: There is a saying among first responders, there’s no such thing as a routine call. But as society has changed so have the dangers facing firefighters. These dangers are ones that they have never before worried about or have been trained to recognize. Checking the scene mindset has to be more than looking for smoke, flames and environmental concerns and must include violence indicators from patients and bystanders. 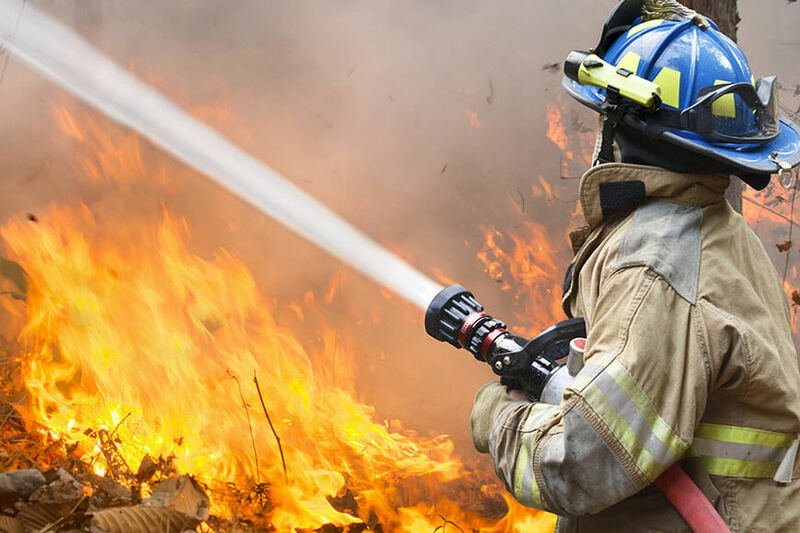 Going home safely now depends on the firefighter’s ability to read the body language of those with the intent on causing bodily harm to the rescuers. 2 The Rescue’s seminars and scenario-based trainings present proven life-saving techniques that remove firefighters from dangerous situations before the evil strikes. Firefighters will learn the proper stance and positioning and develop their skills for interpreting verbal and non-verbal cues as well as efficient and effective de-escalation principals. Firefighter’s will be able to recognize the indicators of potential physical, environmental and terrorist violence as well as the proper reaction and response before it is to late. Michigan Q63C SMOKE-Fireworks Funds Approved Course! 2 The Rescue’s ADVANCED driver’s training program which exceeds legal statutes of the State of Michigan and recommendations by VFIS through proven life saving driving strategies and field tested techniques will change the emergency responders mindset and modify their driving behaviors yielding in a reduction in liability costs while providing a legal, safe and more efficient response in all situations. Michigan Q60A SMOKE-Fireworks Funds Approved Course! Michigan Q71A SMOKE-Fireworks Funds Approved Course! “I found your training to be very helpful, I was always told the backpack gets heavier but you learn to carry it. I never thought a lot about how to take the bricks out and make it lighter.” Dave Rinehart Bronson Fire Department, Branch County, MI.